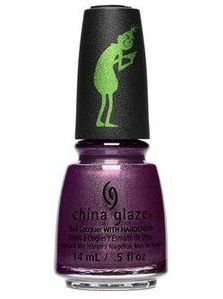 China Glaze Nail Polish, You're A Mean One, 1643, .50 fl. oz. Deep burgundy plum nail color with coppery shimmer.